Criminal Defense Attorney Thomas Kokonowski What You Need to Know About Methamphetamine Charges | Law Office of Thomas Kokonowski, Esq. 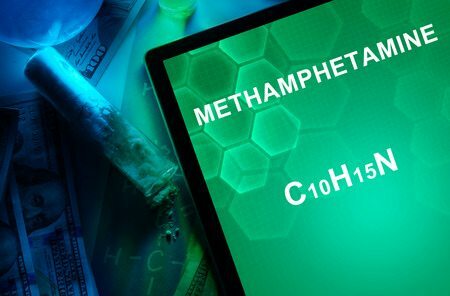 What You Need to Know About Methamphetamine Charges | Law Office of Thomas Kokonowski, Esq. Posted on : May 7, 2017, By: Tom Kokonowski, Esq. Although Massachusetts legalized medical and recreational marijuana, methamphetamine crimes are penalized harshly. Whether you are in possession of methamphetamine or charged with trafficking, you face serious penalties. Here’s what you need to know and how to fight against methamphetamine charges. Additionally, the judge may order mandatory drug and alcohol counseling, community service, or other penalties as part of the sentence. It’s crucial to have an experienced criminal defense attorney on your side if charged with methamphetamine possession or trafficking. If convicted, your future is in jeopardy. Contact the Law Offices of Thomas Kokonowski, Esq. When you’re facing criminal drug charges that could land you in jail for a year or state prison for up to twenty years, it’s in your best interests to fight these charges with every resource you have available. At the Law Offices of Thomas Kokonowski, Esq., we have represented many people charged with drug crimes in Massachusetts and can help you ensure that your rights are protected at every stage of your case. Call for a consultation to discuss the evidence in your case in detail and to begin forming a plan of defense at (413) 585-9200 or (413) 549-0022.